This week, Bob goes to Cabin Bluff to do a little fishing. You won’t want to miss this and an awesome recipe for Potato Encrused Trout! About Cabin Bluff: Experienced anglers have long regarded the waters of the Cumberland River as a treasure for all those who wish to test their skills against redfish, bluefish, sea trout, tarpon and an almost endless list of other native fish. Expertly guided charter fishing trips along inshore and offshore waters — with all tackle furnished — can be easily arranged. You are free to “catch and release” or keep your catch. We’ll clean it and pack it for you to enjoy at home, or prepare it for your breakfast. So, whether you prefer a day’s excursion in the pursuit of white-knuckle sport fishing, or you enjoy light tackle trips to the inlets and estuaries that meander just off the shores of nearby Cumberland Island, you will not be disappointed. This entry was posted in Episode and tagged Cabin Bluff, Cumberland Island, Cumberland River, fishing, offshore on 10/21/2013 by BROM. 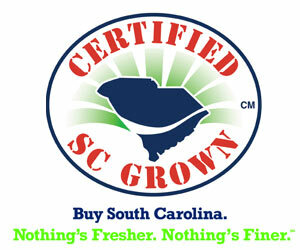 This week Bob travels to Georgetown, South Carolina for some early fall king mackerel fishing. Joining Bob is Captain Tommy Scarborough, longtime guide in the waters off of Georgetown. While everyone else is thinking deer hunting, just remember that fall is the great time to the Carolina coast for a little fishing! This entry was posted in Episode and tagged bob redfern, carolina coast, fishing, georgetown south carolina, kingfish, offshore on 10/21/2009 by BROM.